Four years ago, the Federal Trade Commission accused AT&T of throttling the speeds of unlimited data plans. On Thursday, Reuters reported AT&T finally dropped its legal challenge against that complaint—and more broadly, the FTC’s ability to protect net neutrality—and is in talks to settle with the agency. AT&T, the second-largest mobile service provider in the US, initially announced that it would petition the Supreme Court to review the case on the grounds that the FTC has no jurisdiction over the company’s broadband services. AT&T has since pulled an about-face on those plans, informing court officials that it will not pursue its appeal, allowing the FTC to finally continue its legal case against the mobile carrier—though the telecom giant will try to reach an agreement to avoid allowing the complaint going to trial. “We have decided not to seek review by the Supreme Court, to focus instead on negotiating a fair resolution of the case with the Federal Trade Commission,” a spokesperson for AT&T told Gizmodo. The apparent end to a messy legal fight marks two potential victories for consumers. First and foremost, it presents a possible settlement that could secure refunds for AT&T customers who were misled by the company’s promise of unlimited data plans that were actually severely throttled and slowed. In addition to some justice for the allegedly deceptive data plans, the lapsed legal challenge also means AT&T is dropping its claims that the FTC can’t regulate it, potentially restoring some of the agency’s ability to enforce net neutrality protections. The crux of AT&T’s argument hinged on the fact that the FTC doesn’t have authority from Congress to provide oversight over common carrier services. 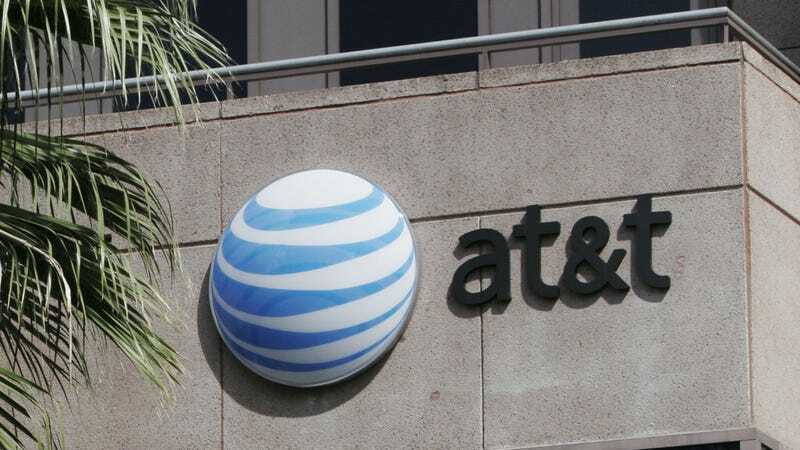 While the complaint was over wireless internet services, AT&T claimed that because it provides mobile and landline voice services, it should be classified as a common carrier and therefore be made immune to the FTC’s actions. That position initially worked for AT&T, when the Ninth Circuit Court of Appeals ruled in the company’s favor in 2016. Had that ruling stood, it would have allowed all companies that offer common carrier services to avoid punishment from the FTC even when offering non-common carrier services. However, earlier this year a ruling from an en banc session of the US Court of Appeals ruled the FTC did, in fact, have jurisdiction over broadband services provided by telecom companies. While the FTC has had some of its regulatory powers restored, it still does not have the same levers that the Federal Communications Commission had under the Open Internet Order. The FTC can punish ISPs that fail to keep net neutrality promises, but companies can just forgo making those promises in order to avoid penalties. Comcast almost immediately removed its pledge to not create internet fast lanes the day after the FCC announced its plan to repeal net neutrality protections. Winning the fight to preserve net neutrality protections remains a far better solution for consumers than the very narrow oversight now granted to the FTC.